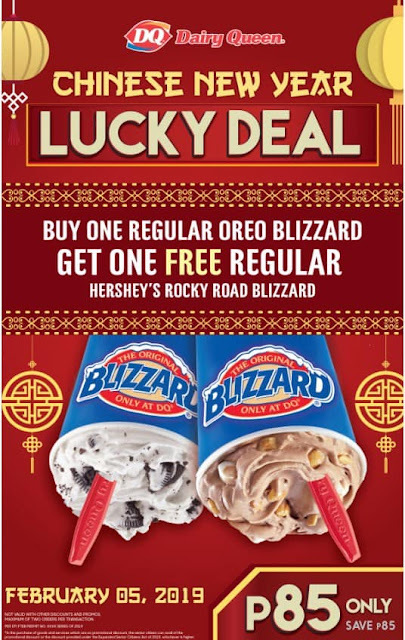 Dairy Queen's Buy1 Get1 Promo is back! 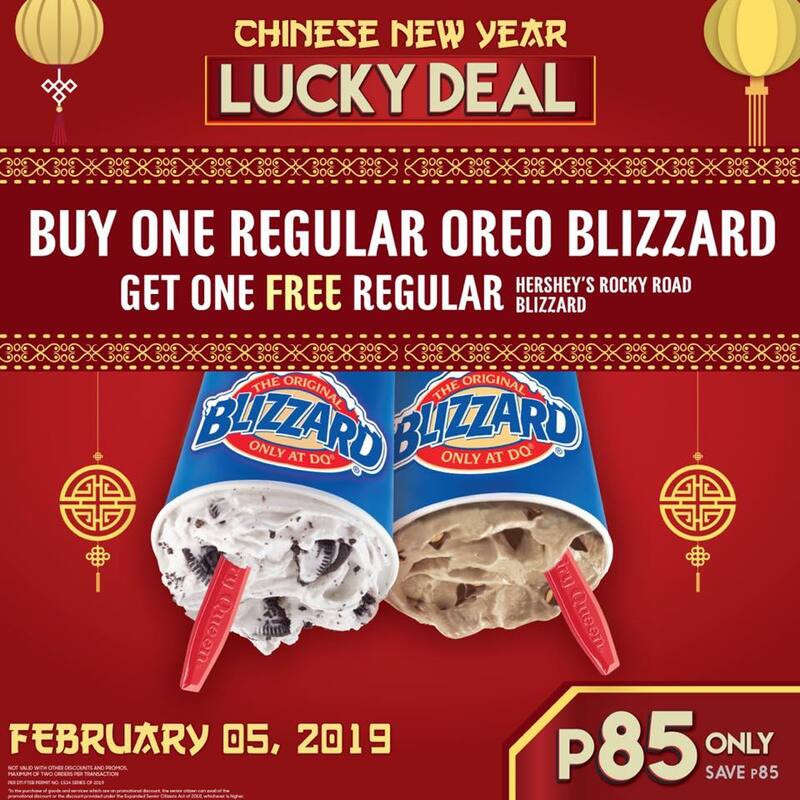 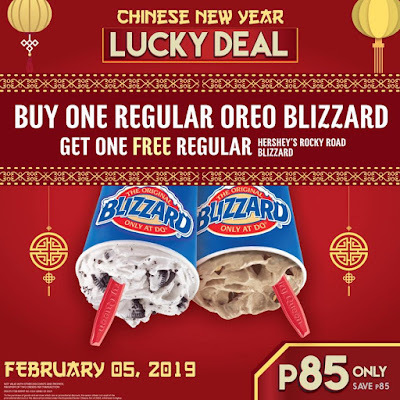 To celebrate the Chinese New Year, DQ has a bountiful offering with the Lucky Deal Promo! Buy 1 Regular Oreo Blizzard and Get 1 Regular Hershey's Rocky Road Blizzard absolutely FREE.